The FSA Road PowerBox Alloy Crankset Power Meter is a crank-based power meter, measuring single-leg power at the spider. Specifically, it uses Power2Max’s proven spider design. The FSA PowerBox Alloy uses FSA’s 7075 aluminum 110 mm BCD chainrings, FSA alloy arms and a BB386EVO 30 mm spindle. The power meter uses a CR2450 battery (which is very easy to replace), gets approximately 400 hours of battery life and is accurate to within 2% (industry standard). The result is an accurate, extremely versatile power meter that comes with top-notch FSA chainrings and crank arms. Best yet, the FSA power meter is the most affordable crankset-based power meter on the market. The PowerBox uses Power2Max’s proven spider design. This technology has been proven to be an accurate, reliable and consistent way to measure power. The crankset is an ideal place to measure power. You don’t have to make any compromises to your component selection. And at $649, it is the most affordable crank-based power meter available. The PowerBox has Auto Zero and will automatically perform a zero-offset every time you stop pedaling for at least three seconds. The CR2450 battery on the FSA power meter is cheap to replace, easy to change (located on the outside of the crankset) and provides 400 hours of battery life. Some crank-based power meters use magnets to measure cadence. The Powerbox however uses an accelerometer, allowing it to measure cadence internal to the power meter. 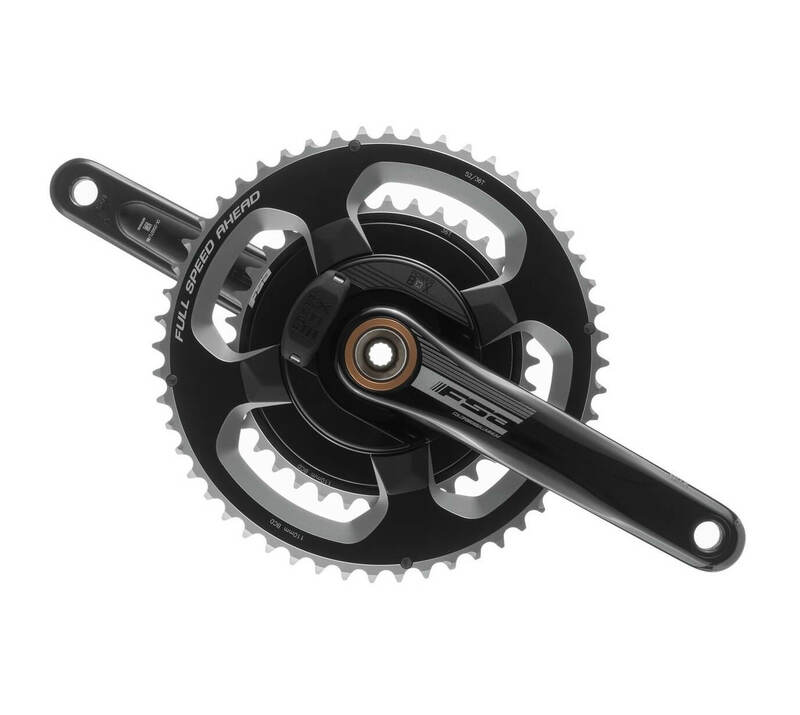 The PowerBox is compatible with a wide range of chainrings. In addition, you can change out your rings at any time and there is no need for re-calibration. Both of these upgrades bring the price to $748.99. This is still a very attractive price for a power meter that would be fully loaded. 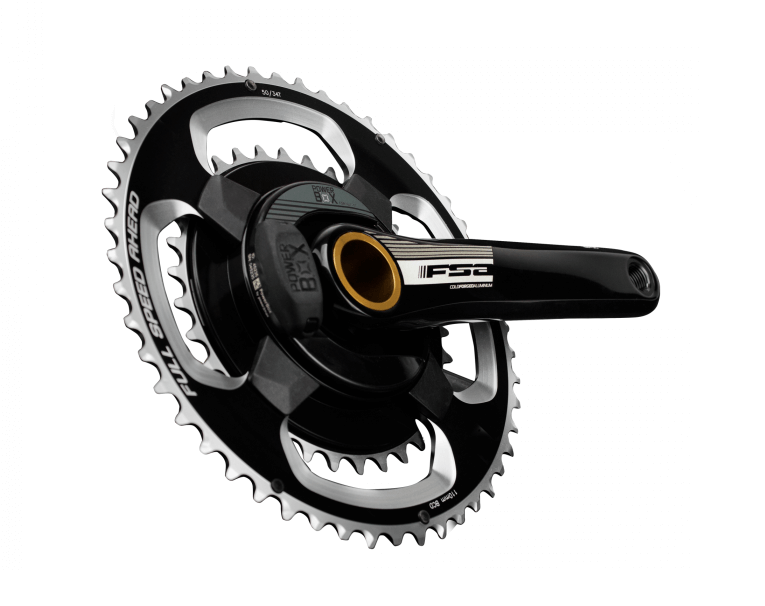 FSA Road PowerBox Alloy Crankset Power Meter uses a BB386EVO 30 mm axle. This makes the power meter compatible with virtually every frame set when used with the correct bottom bracket and spacers. Easy set up. No dropped data. 100% accurate. Battery life seems to be more than adequate. The only thing better has been the customer service support given by PMC – 2nd to none! Hi Bryan. Thanks for the review! This is such a rock-solid unit. It doesn’t get the attention it deserves. $650 for a crank-based PM with these features is a sweet deal. Glad you like it!